Nowadays it's hard to receive an email and think, "Oh, I'm sure the board of directors really sent this to me specifically because I'm such a valuable customer!" No. 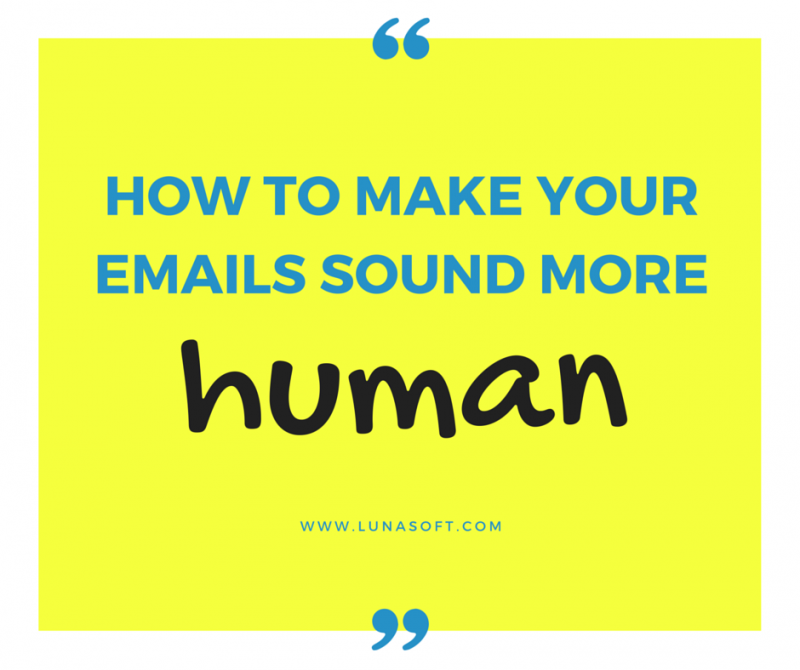 From a "customer" point of view, it is hard to feel truly appreciated and it's also hard to believe that email was sent by a human. On an owner point of view, you wish you could really show your customers that you care, but it'd be impossible to send a truly personalized email to all your customers. Where is the happy in-between? Well, you can't get rid of the email scheduler or the way that the information is shown so generally, however, you can do a few little things different. After all, details do make a difference. 1. Send your emails from a "personal" account. I've noticed a lot of businesses have changed their outgoing email addresses to an address with a name, so it doesn't say "notifications@company.com" anymore, it now says "anniegibson@yourcompany.com" Get it? Annie is sending you this! It isn't just a massive, general email anymore, it's an email she is sending to you. 2. Engage your reader by giving opinions, and asking for their opinions. This can be by actually asking an open-ended question, or by asking them to fill out a survey online. The fact that you ask for opinions means you're listening to your customer and that you're willing to improve your business. 3. Make your emails engaging by using all your sources, this includes videos, and beautiful, compelling graphics. If you can say something with an infographic, then do it! If you'd can show them a clip of you sharing your message, then that's 200% better than if you were to write it all down. 4. Personalize your message as much as you can. Use names, and don't be so uptight and formal, write that email as if you were writing it to a friend. Crack a joke, say something that will make your reader smile and at the same time, believe you're a person. 5. Always be sympathetic and warm in your emails. Let your reader know that it's true, you don't know each other, but you really are a person and you really are doing your best to keep that person happy with your business.